Planting a Memory Garden is a very special tribute to honor the memories of a loved one, or loved ones. It is a way to have a living reminder, where seeing the plant, tending to it and enjoying the beauty of flowers or fragrance brings your loved ones to mind. Your Memory Garden can be anything you want it to be. It can be as simple as one plant or one stepping stone to honor someone’s memory. It may be a small corner with a few plants and possibly a piece of statuary. It can also be a more elaborate, full-blown garden with many plants, possibly a winding path and perhaps a small bench or seating area to sit and reflect. Your garden can be any size you wish it to be, according to the space and land you have available, and the number of plants you wish to maintain. A Memory Garden can be a place of solace, a place to remember and heal. It is a gift you give yourself, a living legacy of memories and love. A memory garden is just that, a place to recognize and honor memories – the memories of our loved ones. A garden is a living memorial for us, the living. It does not bring them back. It does not remove our pain or grief, although for many it does help soothe and soften the grieving. The planning, the gardening, the caring for living plants nurtures our souls; it is a way for us to say — Here. I place this plant, or this stepping stone, or this statuary, in your honor and memory. It is a symbol. It is a symbol of my love for you. I cherished you in my life. I miss you. I will remember you. I believe they see our tributes. I am a firm believer in the afterlife, and that our loved ones still know what is happening in our lives. I have too many unexplained coincidences in my own life and experiences that confirms it for me. Does it help to believe my brother is here, that he is sending a message, that he is still involved in my life, yet I can’t see him? Some days, yes! It is comforting. Some days, absolutely NO! I want to see him, I want to give him a hug, I want to sit down and have a cup of coffee with him. But I can’t do that. And sometimes I still get angry about that. Grief is not a static emotion. It is not a one-way path. We do not walk the pathway of grief, one step at a time, to the end, where we reach ‘non-grief’. We waver. We’re back and forth. Some days we’re good. Sometimes we drift along towards healing. We go on and live our lives. (We have to. We have no choice.) And other days, there will be one memory, one song, one fragrance, one thought – and we are suddenly back to a painful place that we thought we’d left behind. Just remember this, on the path of grieving NO ONE’S path is the same! None of us will have a journey exactly like another’s. Don’t let anyone tell you what’s ‘normal’, or what’s ‘not normal’. Follow your own heart. Follow your own healing. Yes, go on living. Definitely do so, as we are still alive. But we can do that while keeping the memories sacred and honored. I take comfort in the actions of caring for zinnias, believing that my brother will know that when I tend to them, I’m thinking of him. When I tend to the red rose, I’m thinking of Grandma Jones. When I clip the carnations, I’m thinking of Grandpa Jones. For many years, families were the caretakers of loved one’s gravesites. The whole day was spent there, often with picnics. 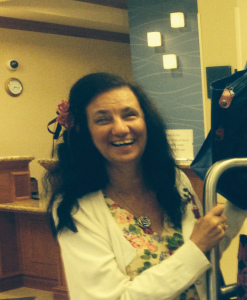 A celebration was created around the loving care of the final resting places. Nowadays, some people still do this, but not many. I loved to take flowers to the graves of loved ones at Christmas. Now, I’m too far from any of them to be able to do that. So tending the plants in my backyard is a way of making that connection. That is something I can do every day, not just on holidays and honoring special dates. Why plant a memory garden? For our own healing. For our own souls. For a tribute to the ones we loved that no longer walk this earthly planet with us. Stay tuned …. 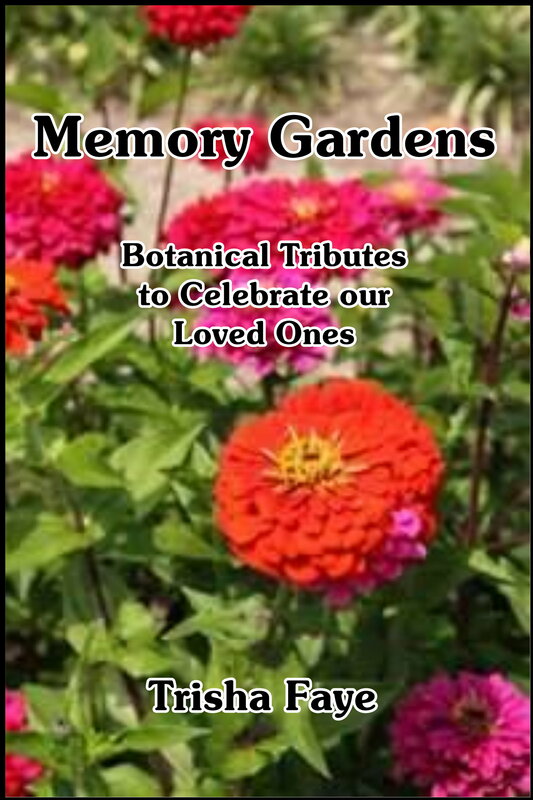 MEMORY GARDENS: BOTANICAL TRIBUTES TO CELEBRATE OUR LOVED ONES is slated for ebook publication next month! This small change in our attitude is not always easy. However, it can be one of the most important tools to improving our lives and keeping a smile on our faces during difficult days. It took me a long time to learn this lesson. And it’s one that I have to keep relearning periodically. I was grumbling to myself on the way into work one day. I didn’t want to be up at that hour. I didn’t want to be there. I don’t make enough money. I wasn’t looking forward to my tasks for the day. Blah-blah-blah … I kept my internal gripe session going all the way across the parking. 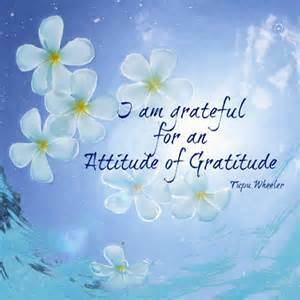 Then, I remembered I should be having an attitude of gratitude. What? For THIS? For THIS job? Gag. But … it could be worse, I reminded myself. I could have NO job. I could be working outside in the heat. (It was June in Texas). I could not have the ability to perform my job. 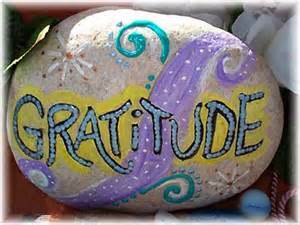 I turned it around and started listing out what I WAS grateful for. Thank you for the groceries I can buy and the supplies, gasoline, and meals I can purchase because of this job. Thank you for my legs that work, which enable me to get to this job. Thank you for my arms that work, that enable me to do this job. Thank you for my mind, which gives me the knowledge I need to do this job. Thank you for my sight. Thank you for my car, which gets me to work. Thank you for the house with its roof that keeps me dry and the air conditioning that keeps me cool. Thank you for the dogs and cats at home that slather me with love. Thank you for where I live, with no smog and blue skies filled with fluffy white clouds. Thank you for my life and breath, there are worse alternatives. It was amazing. This literally changed my attitude and my life. Do I remember to do this every day? No. I get busy. I get rushed. I get stressed. And before I know it, I’ve fallen back into my old habits. But I find that I don’t dwell there for as long. Something reminds me and I start my litany of gratitude’s again, resurfacing to a life that is filled with blessings once again. What an amazing and inspirational lady! We have another free week! This time, rather than writing about a group or people I’m going to tell you about an individual who’s touched my life. About two years ago, while I was working on a book for the Stitching Post Series (which includes The Calico Heart and The Friendship Star Quilt), a friend sent me a video of a blind quilter in Texas named Diane Rose. I was touched by this video – as a quilter I depend on my sense of sight constantly as I choose the fabric for a project, cut it and piece it together. I couldn’t imagine how this lady managed to create over 900 quilts. How did she do it? Take a moment to watch the video and you’ll see what I mean. Is it possible to work in a retail job and survive … with your sanity? 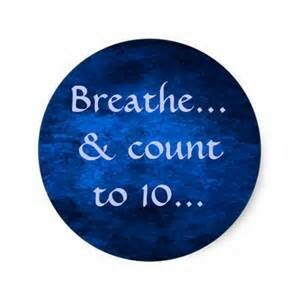 Some days the most effective survival technique is simply … breathe and count to 10.